Ojaja II is back with the blessings and goodwill of the Creator. 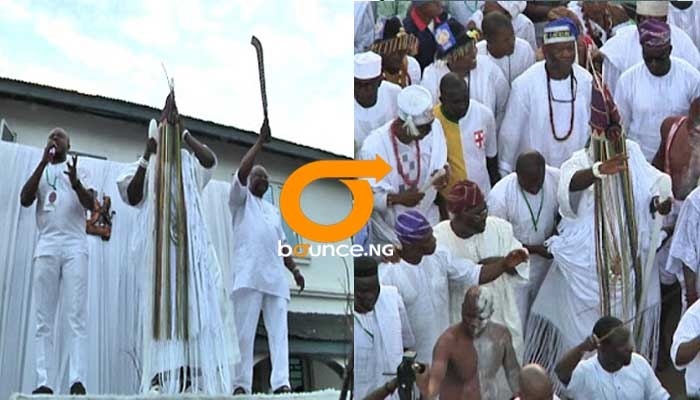 Hundreds of people were at the Ooni's palace as he emerged from isolation after about a week of devotion. 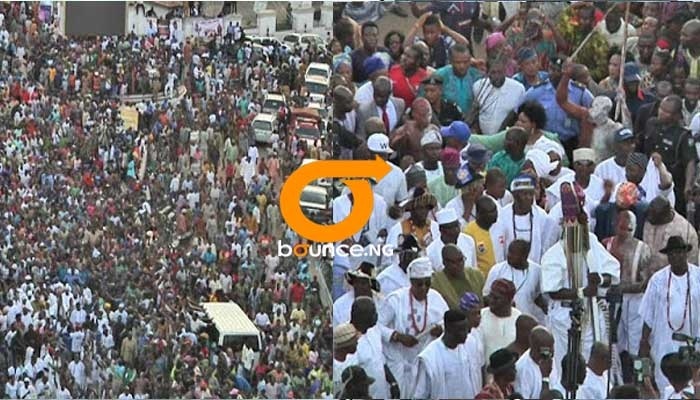 People thronged the streets to get a glimpse of the highly revered traditional leader in Nigeria's South-West region. The olojo festival is used to celebrate the day of creation when according to Yoruba history, Eledumare created the first day. 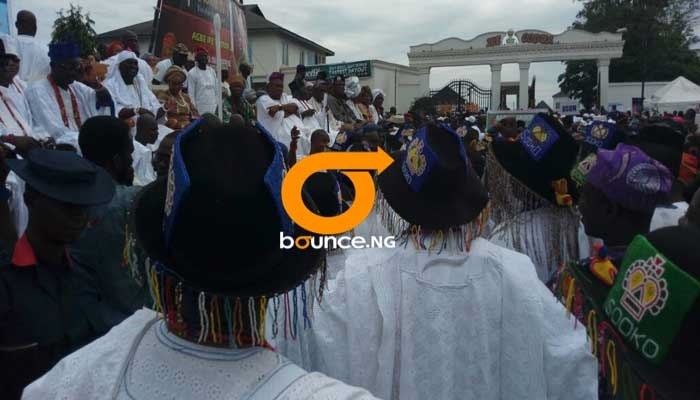 Residents and tourists, who came to witness the Olojo festival, gathered at the Ile Oodua Palace of the Ooni of Ife. They waiting anxiously for hours to see the progenitor of the Yoruba race wearing the sacred Ade Are. 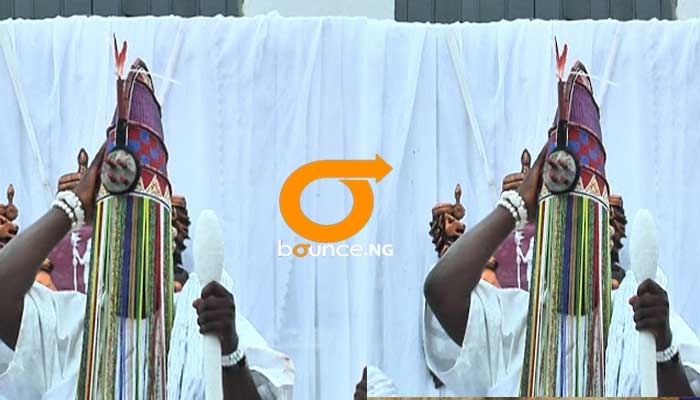 It is a crown believed to have been sent down by God when he created the day and only worn once a year during the Olojo festival by a ruling Ooni. 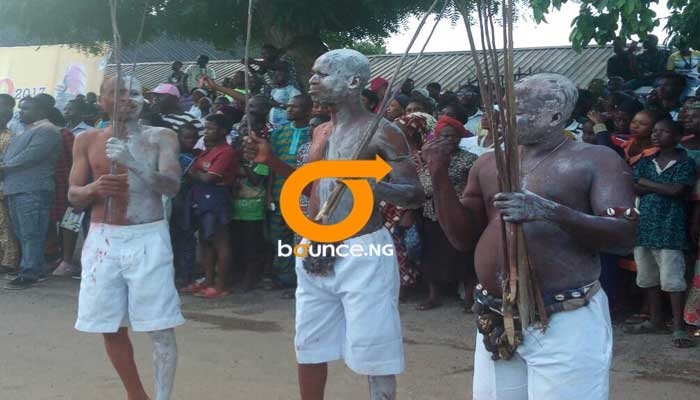 When he emerged to the cheers of the crowd and subjects, the Ooni embarked on the traditional procession to Oke Imogun, the ancestral shrine of Ogun - the Yoruba god of Iron and Idi-aje before returning to his palace.